Christmas is always a busy and joyous time of the year, where we celebrate the birth of Christ and gather with family and friends. We hope you can join us to celebrate the peace, joy, hope and love of Jesus’ birth this Christmas at one of our services. 9.00am Holy Eurchaist at St Peter’s Torrens Square Glenelg. 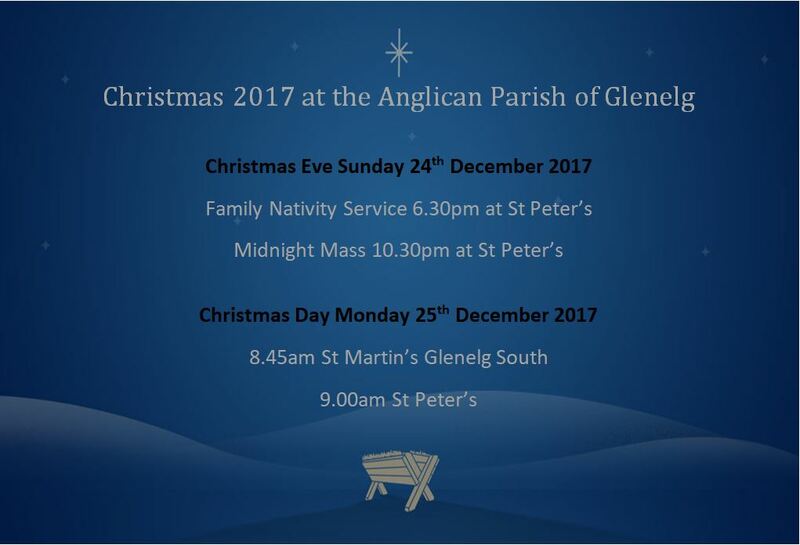 Copyright © 2019 Anglican Parish of Glenelg. Powered by WordPress. Theme: Spacious by ThemeGrill.